Featured artists Chuck Gumpert ( mixed media), Ann Cavanaugh (fused glass), Miska (acrylics), and Kevin Brownlee (cast aluminum) welcome spring with exciting and colorful new work. 4pm-6pm - Wine & Chocolate Reception with artist unveilings and live music with John Silliman-Dodge. 10:50am - Unveiling of new work by featured artists Chuck Gumpert, Ann Cavanaugh, Miska and Kevin Brownlee. Artists demonstrations will immediately follow until 3pm. 4-7pm Reception with artists, wine, appetizers by Jonathan Hoffman and live music with Bucky Pottschmidt. 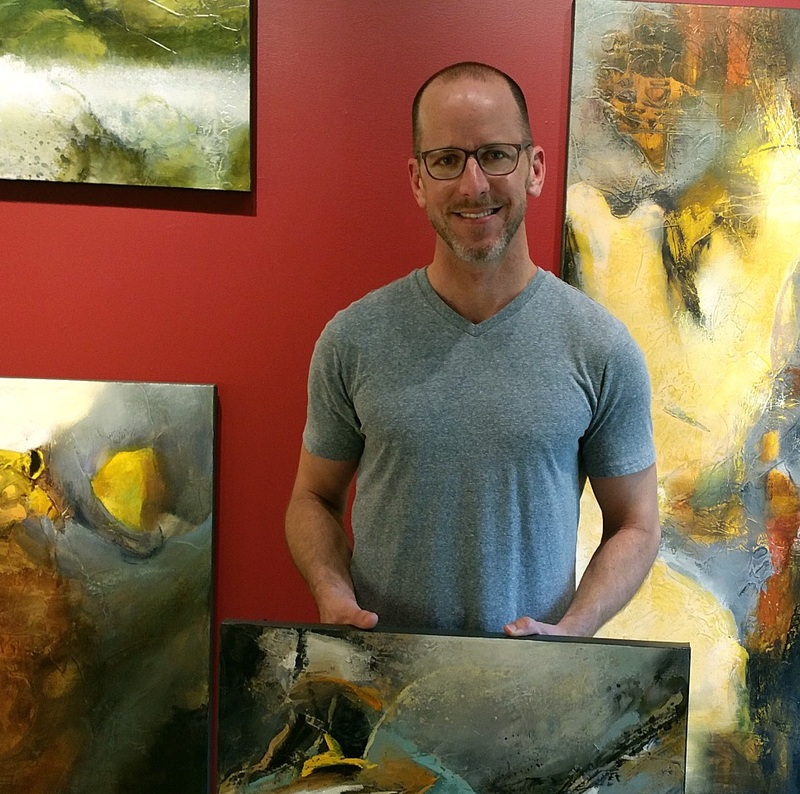 11am-1pm - Lite brunch Reception with featured artist demonstrations; a special unveiling of a Michael Orwick painting which will be sold by raffle to benefit the North Coast Land Conservancy. The winning ticket will be drawn at the new Earth and Ocean Arts Festival in September. We’re going plastic free and will be serving wine in glass for all our receptions. We invite you to bring your own glass.